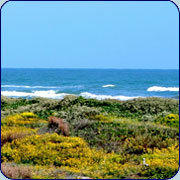 to a unique conceirge service offered exclusively to Port Aransas property owners and vacationers. 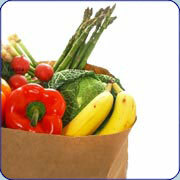 Grocery provisioning, home care, catering, child care, are just the beginning of what Johnie on the Spot has to offer. Our personalized Property Owener and Vacation Concierge services are "on the spot" to meet your needs and more importantly designed to give you the relaxing visit you deserve. Property Owner Concierge - Johnie on the Spot is designed with the absentee property owner in mind and through our many services you are able to enjoy your visit to PA rather than deal with the challenges of owning a second home. We are here to help while you are away and when you come to visit. Our services are totally customizable and we are "on the spot" to accommodate just about any request. When you visit - grocery provisioning service - have your shopping done for you, for your arrival or at anytime during your stay; child care referrals; fishing guide recommendations, and much more. Vacation Concierge - Johnie on the Spot Vacation Concierge Services cuts throught the information overload available on the internet and guidebooks and replaces guesswork with wise suggestions based on local experience and knowledge. Let us simplify your vacation by offering the following pre-arrival, arrival and during your vactions services: Grocery Provisioning - tell us what you want and the fridge, pantry and bar will be stocked with everything you need. Qualified referrals for Child Care, Spa Services, Fishing Guides, Sand Castle Builders, Cleaning Services, Dining recommendations/reservations. 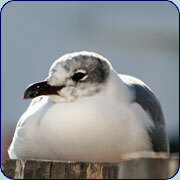 If it is available in Port Aransas or the surrounding area we can provide you with the information you need. You make the list then show up to find your kitchen stocked with all your favorites.